Given the complexity of the United Kingdom’s system of multi-layered governance, and the intertwining of policy competences across European, UK-wide and devolved levels, the devolved governments and legislatures necessarily have a strong interest in the shape that Brexit will take and how this will affect issues within their spheres of responsibility, as well as the future extent of those responsibilities. The added complication that a majority of voters in both Scotland and Northern Ireland voted to Remain in the EU, and the crucial importance of the issue of EU membership to broader constitutional questions in both those territories, makes the devolution dimension to Brexit all the more important. How then, and at what stage, are the views of the devolved institutions to be taken into account? Is their role limited to dealing with the consequences of Brexit, or do they have a role in shaping the form that Brexit takes? If the referendum result is not to be taken as decisive, might the devolved institutions even have the power to determine whether Brexit takes place at all? Having rejected attempts to amend the European Union Referendum Act 2015 to make Brexit subject to a requirement of parallel consent – i.e., majorities in all four UK nations, as well as a UK-wide majority – could the UK Parliament be forced to concede that principle by another route? The Divisional Court’s decision in the Miller case that the UK Government requires the authority of an Act of Parliament in order to give notification of the UK’s intention to withdraw from the EU under Article 50 TFEU opens up the possibility that such legislation might itself require the consent of the devolved legislatures under the Sewel Convention. The Lord Advocate on behalf of the Scottish Government and the Counsel General for Wales on behalf of the Welsh Government have both been given permission to intervene in the Supreme Court hearing and have published submissions to that effect. Similar arguments were raised separately before the Northern Irish High Court in Agnew and McCord. These have now been referred to the Supreme Court by the Attorney General for Northern Ireland to be heard alongside the Miller appeal, and the Agnew applicants have also published revised submissions. (I will refer to these collectively as the “devolution submissions”. The McCord applicants have also published revised submissions, but these raise rather different arguments premised on the special constitutional status of Northern Ireland, which I will not deal with further here). Interestingly, though, the Northern Ireland Executive supports the UK Government’s view that an Article 50 notification may be given under the prerogative, and that devolved consent is not required, a position that was upheld by the Northern Ireland High Court. The UK Government has also issued a supplementary written case rejecting the Lord Advocate’s and Counsel General’s arguments. Nevertheless, if the Supreme Court upholds the Divisional Court’s reasoning, it is by no means implausible to think that the devolution submissions will succeed. At the very least, the involvement of the devolved governments in the appeal is likely to change the nature of the decision, requiring the Supreme Court to take a broader view of the constitutional issues at stake than the Divisional Court did. 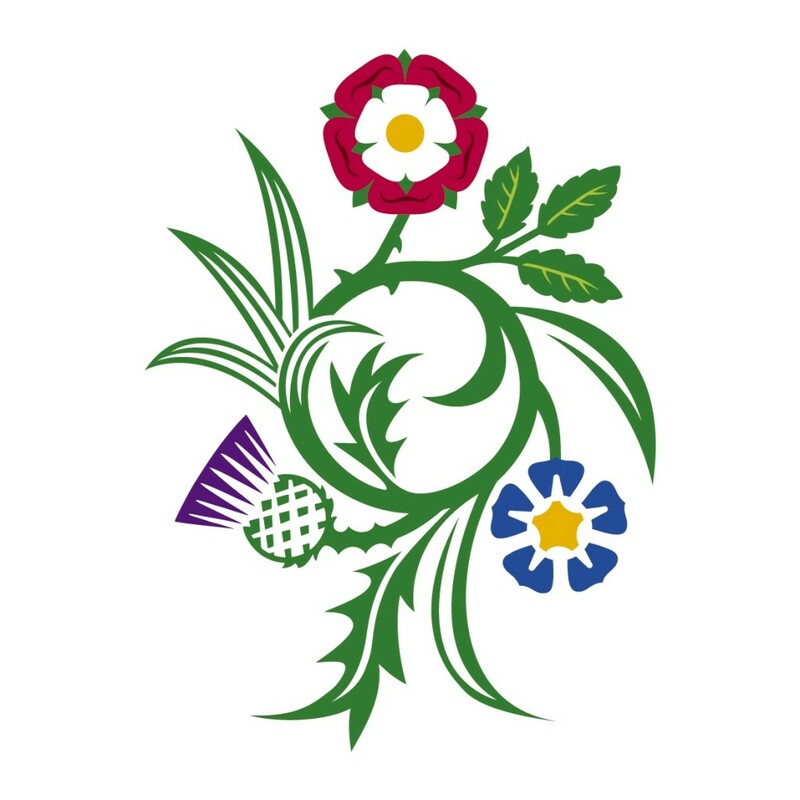 Although the three devolution submissions are not identical, they share a much more radical and pluralist vision of the nature of the UK’s constitutional order than the very traditional focus on the historically-central constitutional dynamic between Crown and Parliament that shaped the Divisional Court case. If nothing else, they provide a very striking illustration of how differently the constitution is understood from different geographical perspectives – something which the Supreme Court – required to produce a legal answer to the question before it – may struggle to deal with satisfactorily, and to which the UK Government’s response shows no sensitivity whatsoever. The argument that devolved consent is required to trigger Article 50 proceeds in two stages: first, that legislation is required to authorise that notification; and second that such legislation engages the Sewel Convention. Triggering Article 50: Legislation or Prerogative? The first stage of the argument essentially supports that of the claimants in Miller. However, the focus is on the effect of an Article 50 notification on the devolution statutes rather than on the European Communities Act 1972 (ECA). In essence, the devolution submissions pick up on the minor strand of the Divisional Court’s reasoning, namely that triggering Article 50 will not only interfere with rights created by the ECA, but in a more general sense will frustrate the intention of Parliament in passing that Act that the UK should be a member of the EU. Because of the way in which EU law is built into the devolution settlements – the devolved institutions have responsibility for observing and implementing EU law within devolved competence, and are expressly prohibited from acting contrary to EU law – the argument is that triggering Article 50 would also interfere with the intention of Parliament in enacting the devolution statutes. These are obligations which operate independently of the ECA, and the removal of which would necessarily affect the operation of the devolution schemes. The Lord Advocate’s submission relies upon an allegedly more restrictive view of the prerogative in Scots law in support of this argument (something also argued in a separate submission on behalf of the Independent Workers Union of Great Britain), but it is not clear that there is any material difference between Scots and English law in this particular regard, nor that it is really necessary to make this claim in order to support the argument that is being made. More plausibly, the Agnew submission points to the Belfast Agreement as part of the constitutional background to the Northern Ireland Act 1998, and a permissible aid to interpretation, in support of the argument that Parliament intended that the UK should remain a member of the EU. In addition, as the devolution statutes have been held, like the ECA, to be constitutional statutes, it is argued that the courts should be particularly wary of allowing them to be undermined by the exercise of prerogative powers. The UK Government’s response to this part of the argument is essentially to reiterate its general approach to the relationship between statute and prerogative. In other words, it argues that the relationship between the devolution statutes and EU law, like the ECA, is essentially ambulatory; they assume, but do not require EU membership, and it is irrelevant that some of their provisions might effectively be deprived of effect by Brexit. But in addition, since foreign affairs, including relations with the EU, is a matter reserved to the Westminster Parliament, the devolution statutes cannot be said, either expressly or by necessary implication, to have “occupied the field” in relation to EU withdrawal such as to oust the treaty-making prerogative. Indeed, far from being a central part of the devolution schemes, the UK Government characterises the EU law provisions in the devolution statutes as being essentially belt and braces provisions, designed simply to ensure that the UK’s international law obligations in relation to EU law are complied with. The conclusions here in relation to the effect of triggering Article 50 on the devolution statutes seem to flow from the premises. If, on the one hand, the Supreme Court endorses the view that the prerogative is ousted if it frustrates the operation of statutory provisions, then it seems to follow that the devolution statutes are affected, albeit clearly to a lesser degree than the ECA. On the other hand, if the Court agrees with the UK Government’s approach, any distinct effects on the devolution statutes are irrelevant. Assuming that legislation is required to trigger Article 50, the effect of such legislation would be (in substance if not in form) to amend the devolution statutes, whether it does so expressly or not. The devolution submissions then argue that that such amendment would require to be authorised by the devolved legislatures by virtue of the Sewel Convention. This is a more radical and contentious claim. In order to succeed, three issues need to be addressed: 1. the scope of the Sewel Convention; 2. the justiciability of the Convention; and 3. whether the requirement of devolved consent can be ignored or overridden. As to the first point, the Northern Irish High Court held that, even if legislation had been required to trigger Article 50, the Sewel Convention would not be engaged. It gave the Convention a narrow interpretation, whereby consent is only required if legislation affects an issue within devolved competence (such as health or education). Alan Trench calls this the “policy arm” of the Convention. Since, the court concluded, relations with the EU are not within devolved competence, the Convention was not engaged. The Scottish and Northern Irish submissions do in fact argue that, even on this narrow understanding of the scope of the Convention, it would be engaged because, such is the intertwining of EU law and devolved matters, Brexit would affect issues within devolved competence. However, the more important argument, made by all three submissions, is that the Convention is broader in effect. It is, they argue, also engaged where legislation alters the scope of devolved executive or legislative competence. Trench calls this the “constitutional arm” of the Convention. Since removing the obligation on the devolved institutions to comply with EU law would necessarily affect the scope of their competences – they would be able to do things that they cannot currently do (cf the ongoing challenge to the Scottish Parliament’s minimum alcohol pricing legislation) and would, assuming that there is no further adjustment of the boundaries between UK and devolved competences, effectively acquire new responsibilities (eg for agricultural subsidies) – the submissions argue that, in this regard, the Convention would be engaged. It is perhaps a debatable point whether the competence limits in the devolution statutes could survive Brexit; i.e., whether the EU Treaties could continue to act as a reference point binding the devolved institutions even if the UK is no longer bound by them. However, the Counsel General correctly argues that this would be an extraordinary result, and if the Supreme Court, like the Divisional Court, is inclined to eschew a formalistic understanding of the effects of Brexit, then this might well be a persuasive argument against such an interpretation. The more important point is whether the Sewel Convention does indeed bear this broader meaning. The Northern Irish High Court held that there was nothing in the practice of the Convention, at least as regards Northern Ireland, either under the old Stormont system or under the contemporary devolution arrangements, to support this broader interpretation. However, the Lord Advocate provides copious evidence that the practice in Scotland has been to require consent where the boundaries of the devolution settlement are being modified, as has also been the case in relation to Wales. All three submissions also point to the apparent acceptance of this broader interpretation in various Devolution Guidance Notes and the Standing Orders of the devolved Parliaments. And the requirement of legislative consent in these circumstances is said to be justified by the fact that the devolution statutes themselves provide a procedure for adjusting the allocation of competence by Order in Council which requires the consent of both the UK Parliament and relevant devolved legislature. Although it may sometimes be more convenient to proceed by primary rather than secondary legislation, this should not, it is argued, be used as a way of evading protection for the devolved institutions. Accordingly, all three elements of Jennings’ test for the existence of a convention – practice, acceptance, and supporting principle – would appear to be satisfied, at least in relation to Scotland and Wales, although perhaps not in relation to Northern Ireland. In its response, the UK Government does not really engage with the issue of the scope of the Convention – which may in itself be significant. Instead, it focuses on the relevance of the Convention to the issues before the Supreme Court. It argues, first, that the issue is moot, since the case is about the scope of the prerogative, not about the passage of legislation. Again, it seems unlikely that this argument will persuade the court, since it suggests that the point could become relevant at some later point when legislation is introduced (as it must be eventually, in order to implement Brexit, even if the prerogative can be relied upon to trigger Article 50). It will be in no one’s interest to leave open the prospect of further litigation. Secondly, however, the UK Government also argues that the issue is non-justiciable. As the Northern Irish High Court concluded, conventional rules cannot, by definition, be enforced by the courts, and the UK Government further argues that to force the UK Parliament to seek devolved consent would be inconsistent with the sovereignty of Parliament and a breach of Article 9 of the Bill of Rights. In fact, none of the devolution submissions suggests that the court could enforce compliance with the Convention. Rather, the Scottish and Northern Irish submissions argue that it should be recognised by the Supreme Court as part of the “constitutional requirements” referred to in Article 50, and that the court should at least be prepared to state what those requirements are. The Welsh submission focuses on the role of the Convention in constraining the prerogative, arguing, in effect, that it would be an abuse of the prerogative to use it to circumvent the operation of the Convention. The UK Government’s objection here seems to be misplaced. There are, of course, examples, both domestic and foreign, of courts interpreting conventional rules without enforcing them – indeed, the Northern Irish High Court did so in relation to the Sewel Convention itself. And the argument that there is a legitimate role for judicial interpretation is strengthened, at least in relation to Scotland, by the fact that the Sewel Convention was given statutory recognition in the Scotland Act 2016. It would be implausible to argue that the Convention has thereby become a legally-binding constraint on the UK Parliament, but to suggest that there is not even an interpretative role for the court implies that this was an entirely pointless piece of legislation. In fact, though, the UK Government relies on the 2016 Act to reinforce its argument that the Convention is not justiciable, since what is now section 28(8) of the Scotland Act 1998 states that devolved consent is only “normally” required. This is not, it argues, the language of a rule; rather whether circumstances are “normal” is a “quintessential matter of political judgment for the Westminster Parliament and not the courts”. The Lord Advocate’s submission does not address this point. However, both the Welsh and Northern Irish submissions do. They argue that, while it is clearly open to the UK Parliament to override or disregard the views of the devolved legislatures, this is a matter for Parliament itself, and not for the Government. It does not, in other words, absolve the Government of the need to seek devolved consent (it being, according to the usual practice, for the UK Government to notify the relevant devolved government that a Bill affecting devolved matters is before Parliament). The Northern Irish submission frames the point in terms of the principle of legality: while the UK Parliament may override devolved consent, it must squarely confront what it is doing and accept the political consequences. The UK Government’s only response is to criticise the submissions for focusing too closely on the practice that has grown up around the seeking of legislative consent, rather than on the principle that consent must normally be given. This suggests a failure properly to understand the fundamental reliance of conventional rules upon practice, as well as a lack of respect for those practices which have developed to manage relations between the UK and devolved institutions. The constitutional outrage that would ensue either if one of the devolved legislatures (most likely the Scottish Parliament) sought to block or delay Brexit by the refusal of consent or a grant of conditional consent or if the UK Parliament ignored or overrode the requirement of devolved consent might itself suggest that it would be very much wiser to avoid such a possibility arising. Viewed through the lens of the territorial constitution, holding the EU referendum was always a reckless act. Having lost the political gamble and produced one of the nightmare scenarios of divergent UK and national majorities (an English vote to Leave, but a UK-wide vote to Remain would also have been a toxic outcome), both David Cameron and Theresa May seemed to recognise in the immediate aftermath of the referendum that the territorial dimension of Brexit would require careful handling and that the devolved governments would need to be closely involved. As time has gone on, that commitment to co-operation appears to have waned, and the Miller decision may force the UK and devolved institutions into a much more confrontational position than either side would really want. For the Scottish Government, the risk is that it will be forced into the position of having to call a second independence referendum – a vote that, according to current opinion polls, it would be likely to lose. For the UK Government, the risk is one of creating a constitutional affront that strengthens the nationalists’ strongest argument for independence: the democratic vulnerability of the Scottish electorate within the Union. Indeed, in its response to the devolution submissions, the UK Government has already effectively conceded that one of the measures intended to reassure the Scots of the constitutional security of devolution in the wake of the independence referendum – the statutory recognition of the Sewel Convention – is not worth the paper it is written on. The other unsatisfactory aspect of the Miller appeal is the ongoing failure to accord any constitutional weight to the result of the EU referendum. All sides are agreed that its status is merely advisory. Yet if the “constitutional requirements” required to trigger Article 50 are wide enough to encompass the Sewel Convention, it seems strange to exclude the referendum. Indeed, to support their argument for devolved consent, the devolution submissions are forced into positions which do not seem to be in their long-term constitutional interests. The Northern Irish submission, in order to deny the constitutionally binding nature of the referendum outcome, paints a picture of UK referendum practice which downplays the significance of Northern Ireland’s right to secede from the UK, contained in section 1 of the Northern Ireland Act 1998. Similarly, it hardly seems to be in the Scottish Government’s broader interest to suggest that the outcome of a referendum may be ignored by the UK Parliament or vetoed by other constitutional actors. On the other hand, the UK Government’s position that, to give effect to the referendum, it is necessary to endorse a broad view of the foreign affairs prerogative in relation to EU law, scarcely seems attractive either. The UK constitution is a messy, inchoate, and above all contested affair, and the EU referendum result creates a constitutional problem of far greater complexity and sensitivity than any other which has arisen in my lifetime. In this context, it is naïve to think that the intervention of the courts can significantly assist in resolving that problem. In fact, there is a danger that the Miller decision will make things worse. The fundamental difficulty here is political rather than legal: how best to reconcile the conflicting interests and values at stake in negotiating the UK’s future relationship with the EU. The courts cannot answer that question, but are being used to advance particular sets of interests. The fact that the judges themselves have no choice but to hear the case brought before them and to resolve the dispute as best they can on the materials available to them does nothing to change that fact. I do not envy the Supreme Court justices the task they face this week.